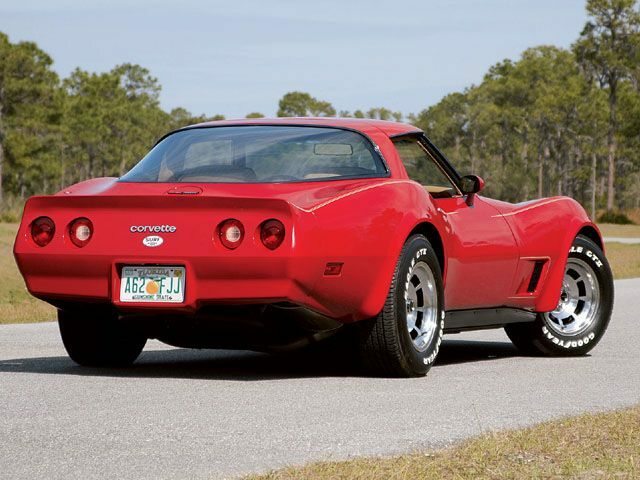 The 1981 model year marked a significant milestone in the history of the Corvette. While the car itself would primarily be a carryover from the previous model year, it was announced that Corvette production would move from the old St. Louis plant to a brand-new, high-tech facility located in Bowling Green, Kentucky. 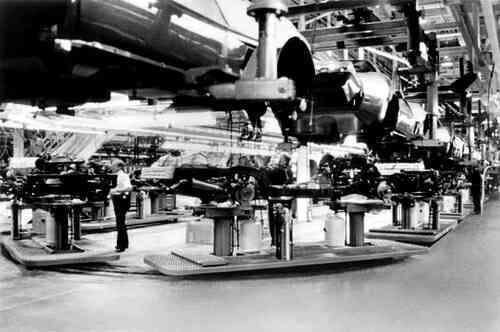 Although originally developed as an air-conditioning plant, the new manufacturing facility was fully refurbished by General Motors, and would be dedicated solely to the production of Y-body Chevy Corvettes. It would utilize the latest automated manufacturing processes, thereby improving quality control. 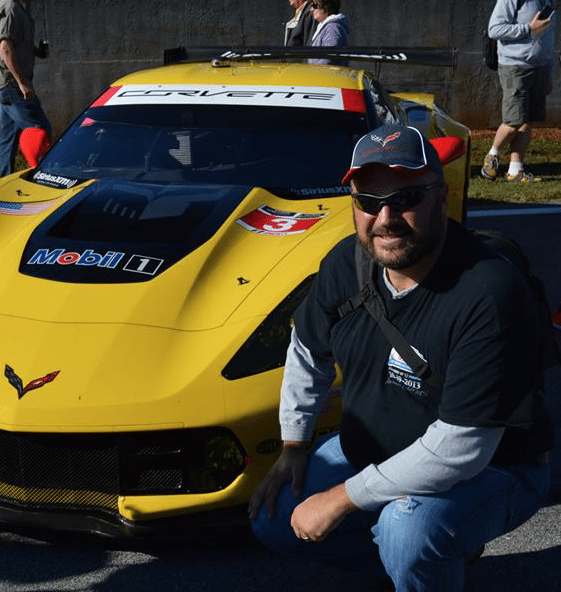 The new manufacturing plant would include an up-to-date paint shop that would utilize more automated paint processing standards, allowing Chevrolet to apply more durable enamels to the Corvette, as well as a new clear coat finishing process. Interestingly, rumors of a move to a larger, more modern manufacturing plant began circulating as early as 1973 – especially amongst the communities along the Mississippi River that drew their livelihood from GM’s St. Louis Manufacturing plant. Reportedly, the talk was the result of “bad blood” between the plant laborers and management. General Motors vehemently denied the rumors that began to propagate. Additionally, they shot down claims that they were looking for a way out of continuing production at the St. Louis plant. Then GM Vice President Robert F. Magill, in a letter addressed to a Missouri Congressman in the early 1970’s, stated “We can say categorically that we have no plans for closing the assembly plant in St. Louis, and any rumors to that effect are without foundation.” Despite these comments, many began to question the continuation of the St. Louis Plant. The St. Louis Plant was the second General Motors plant to build/assemble Corvettes. First there was the age of the plant itself. 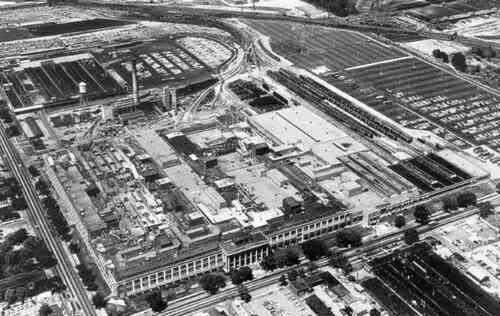 Completed in 1920, Chevrolet’s St. Louis plant was not only outdated, it was also lacking in size and resource. While in 1953, when GM officials were considering relocation of Corvette manufacturing from Flint, Michigan to St. Louis, Missouri, the latter market seemed to provide an ample supply of skilled tradesmen and laborers to staff such a large endeavor. 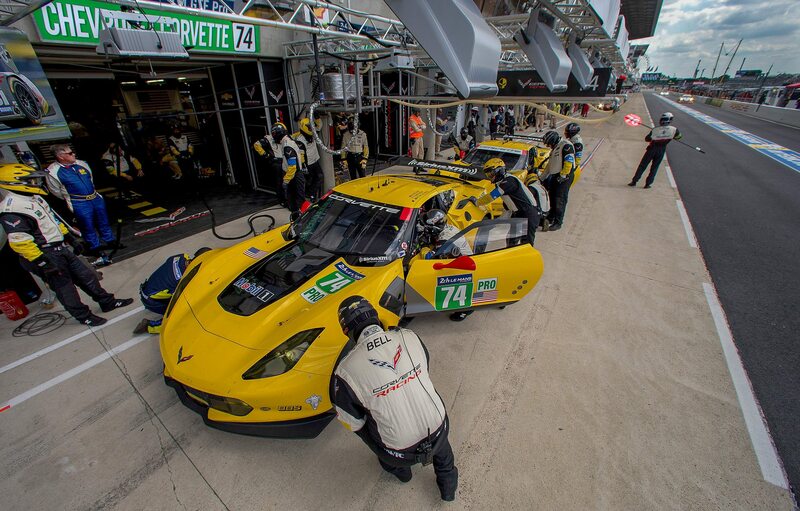 “We selected St. Louis as the exclusive source of Corvette manufacture because the city has a central location and excellent shipping facilities, and we have always found here an ample supply of competent labor” said Edward Kelley, Chevrolet Motor Division’s general manufacturing manager. The Flint, Michigan line ceased operation on December 24, 1953. After Christmas, workers on the new production line in Missouri began assembling their first Corvette just days later on December 28, 1953. 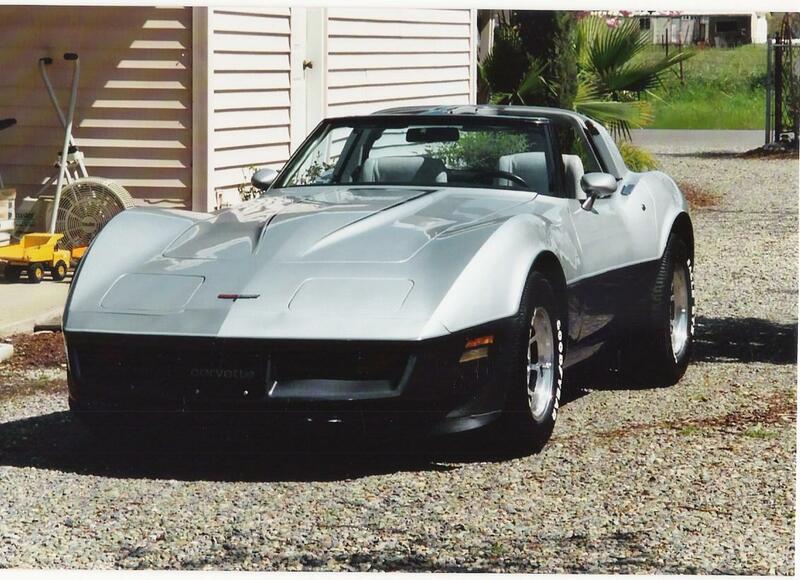 DID YOU KNOW: The 1981 Chevrolet Corvette was the first model year to be built simultaneously in two locations. 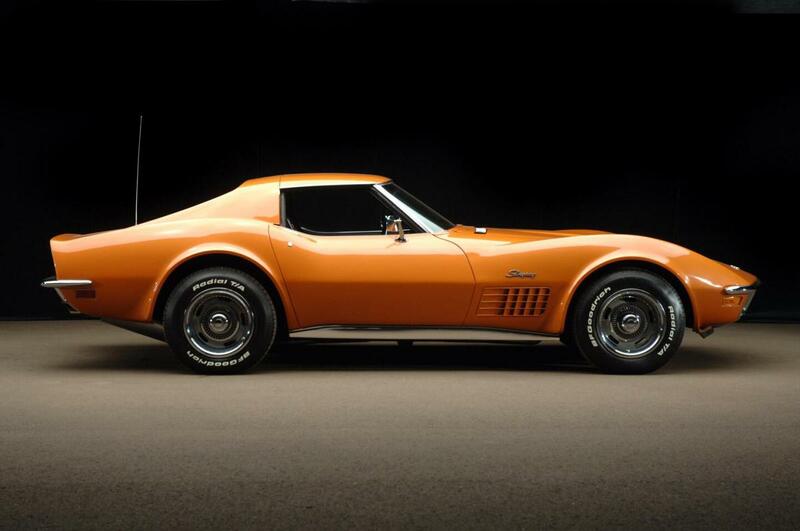 The first Corvette assembled at the new Bowling Green, Kentucky plant was completed on June 1, 1981. Conversely, the last Corvette to roll off the St. Louis assembly line did so on August 1, 1981. 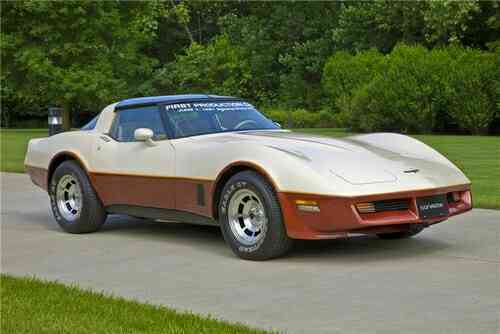 Also, there was a high number of color choices available for the 1981 Corvette. The reason for the increased number of colors (including some duplicate choices) was that different types of paint were used at each of the two assembling plants during production. In 1979, just over a quarter century later, the rumor mill began murmuring that the paint facilities in the St. Louis plant were in violation of the federal air-quality standards established by the Environmental Protection Agency (EPA). Not long after, GM admitted that they were considering relocation of their Corvette manufacturing plant to a site that featured a roomier, modernized paint section. On March 26, 1979, GM announced officially that an impending move was going to occur. 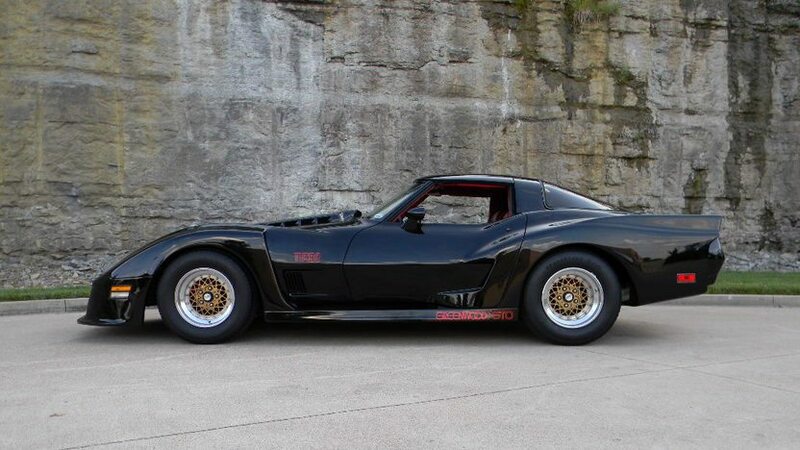 What GM executives did not announce was that two of St. Louis’s plant managers had been sent to Bowling Green, Kentucky in 1978 to begin shopping for Corvette’s new home. It was there that they found a 550,000 square-foot complex formerly used by the Fedders Corporation and the Air Temp Division of the Chrysler Corporation. After a deal was negotiated, the manufacturing plant was expanded to approximately 1 million square feet, and improved state-of-the-art assembly equipment was installed. Furthermore, the facility would be dedicated solely to the production of a single vehicle – the Chevy Corvette – unlike the St. Louis plant, which had been home to various Chevrolet models during its lifetime. The announcement of the new Bowling Green Assembly Plant began an almost immediate barrage of gossip and rumors that Chevrolet was preparing for the arrival of an all-new Corvette. 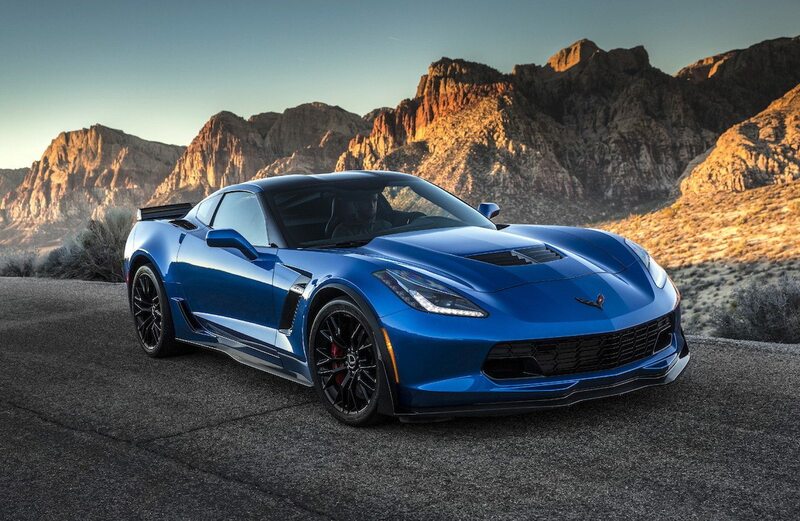 For enthusiasts of the car, it clearly indicated that production of the Corvette would continue for the foreseeable future, but that a new model was imminent. After all, why go through the trouble of tooling a brand-new plant to continue manufacturing a car that was thirteen years old? The last 1981 Corvette assembled at the St. Louis Corvette Assembly Plant. It was with a certain amount of irony, therefore, that production of some of the later model 1981 C3 Corvettes would be completed at the new manufacturing facility. In fact, on June 1, 1981, production of the Corvette began its transition from eastern Missouri to southern Kentucky as the first Corvette was completed at the new Bowling Green Corvette plant. At the same time, the Corvette assembly line in Chevrolet’s Fisher Mill Building, located on Natural Bridge Avenue in St. Louis, Missouri manufactured its last fiberglass-bodied two-seater Corvette on August 1, 1981. As production at the St. Louis plant drew to a close, most of its 900 workers eventually relocated to continue working at the new plant. 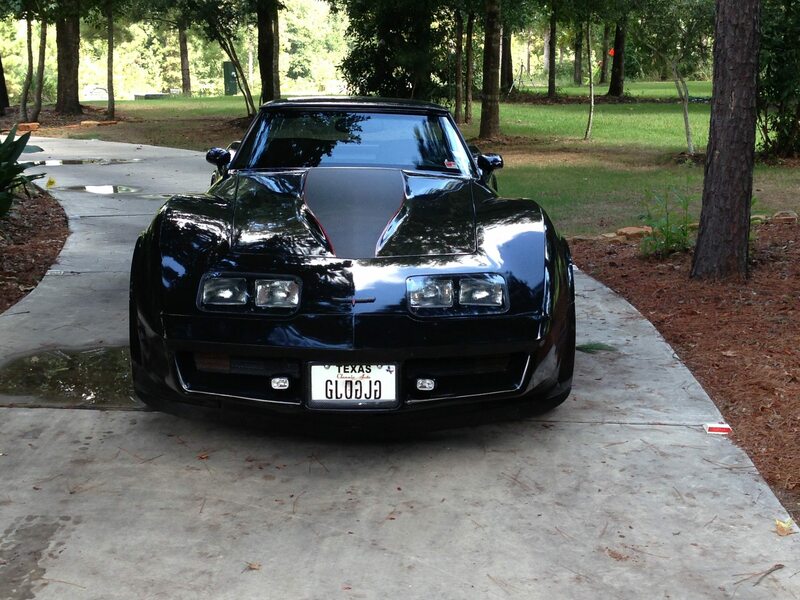 Of the 40,606 Corvettes built for the 1981 model year, 8,995 were manufactured in Bowling Green, Kentucky. 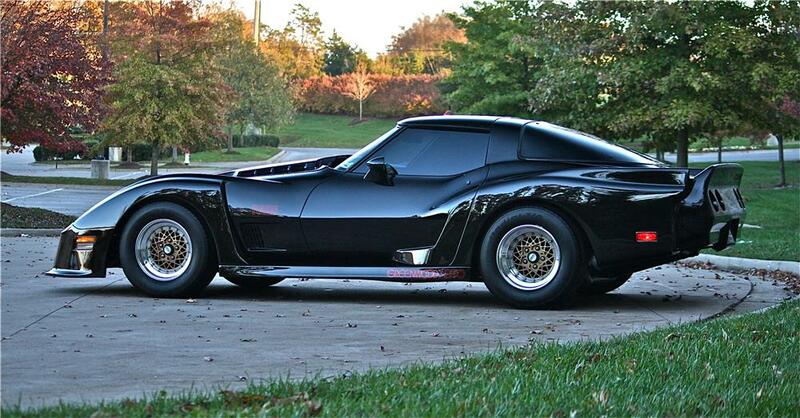 The first 1981 Corvette assembled at the Bowling Green Corvette Assembly Plant. 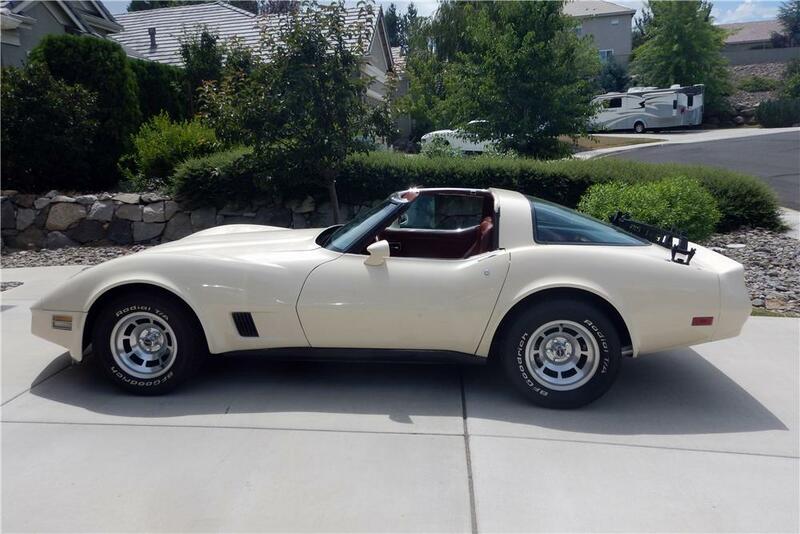 As for the car itself, the 1981 Corvette fell under the umbrella of the progressively rising CAFE (Corporate Average Fuel Economy) standards. Because of this, Corvette production was again evaluated, though in this instance it was to determine what steps could be taken to improve the Corvette’s fuel compliance rating as well as help to improve GM’s compliance as a whole. It was on this basis that the previous L48 & L82 350 cubic inch engines (offered with the 1980 Corvette) were retired in favor of a single, reworked engine which carried the designation L81. The L81 featured magnesium rocker covers and a stainless steel exhaust manifold. The new, 350 cubic inch V-8 engine was rated at 190 brake horsepower at 4,000rpm and 280 lbs/ft peak torque at just 1,600rpm. The engine featured an auxiliary electric cooling fan that worked in conjunction with a smaller, engine driven cooling fan, which aided in the reduction of noise. 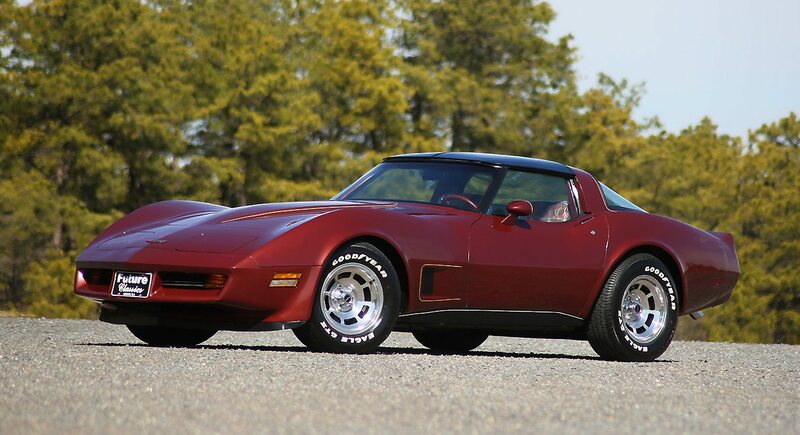 As a result, the 1981 model year was the first since Corvette’s earliest days to offer a single engine option for all models – including Corvettes built for sale in California. Making the L81 engine legal for use in California was simply a matter of incorporating the lightweight tube headers (with oxygen-sensor smog controls) and computer controls used by the LG4 V-8 in 1980. What was even more significant for California consumers was that the L81 could be mated to a four-speed manual transmission, meaning that manual-trans Corvettes could be sold in that state for the first time since 1975. This is also ironic because the 1981 Corvette was the last third-generation model to be offered with a manual transmission. 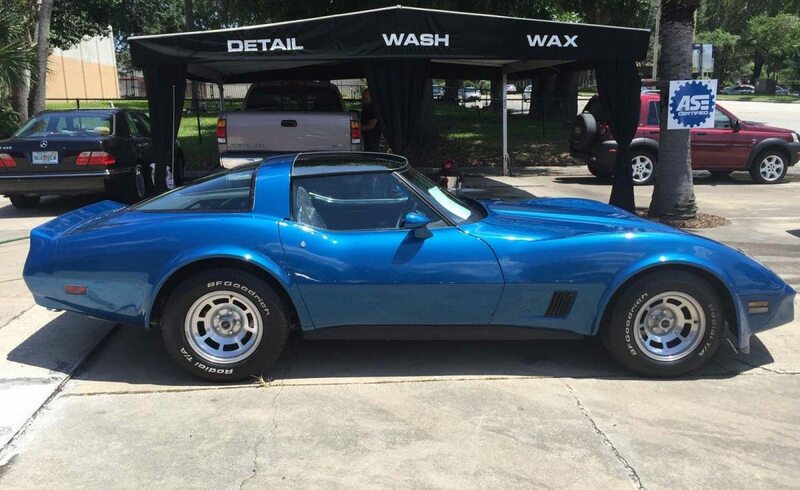 The 1982 Corvette would only be offered with an automatic. However, the most substantial improvement to the 1981 Corvette over earlier models was the introduction of Computer Command Control (CCC). Though not unique only to the 1981 Corvette, Computer Command Control used electronics to integrate the emissions and fuel systems in order to reduce smog and fuel consumption. Similarly, CCC was tied into the automatic transmission’s new lockup torque-converter clutch. This provided a direct mechanical linkage between the flywheel and the propshaft in second and third gears at steady-state speed, thus eliminating gas-eating frictional losses through the converter. Elsewhere on the car, a few weight savings measures were introduced to further help with the improvement of gas mileage. The aforementioned magnesium valve covers used on the L81 were actually incorporated as a weight savings measure. 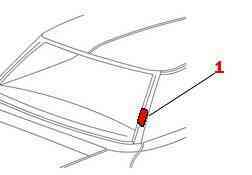 Additionally, Chevrolet introduced a mono-leaf fiberglass rear spring. Added to automatic-transmission Corvettes with standard suspensions, this plastic spring weighed only 8 pounds, compared to the 44-pound steel leaf springs used in 1980. Cosmetically, the most notable changes to the car’s physical appearance occurred to its interior. The dashboard in the 1981 Corvette received a more modern and user-friendly makeover, including the introduction of a standard quartz clock and electronic tuning for all factory radios. A new six-way power driver’s seat was also introduced (one which finally reclined (a notable shortcoming of the seats in earlier third-generation Corvettes). 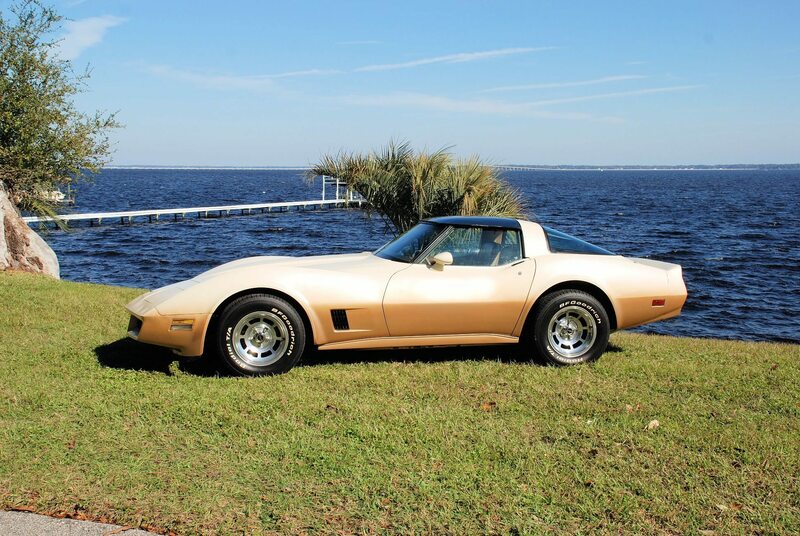 Outwardly, the car remained virtually identical as it had in 1980, with the exception of a new paint option – RPO D84 – that was offered exclusively for the 1981 Corvette. As Chevrolet officials were extremely proud of their new paint processes at the Bowling Green manufacturing plant, they chose to showcase them by featuring a two-tone paint option on almost all of the cars built that first year. 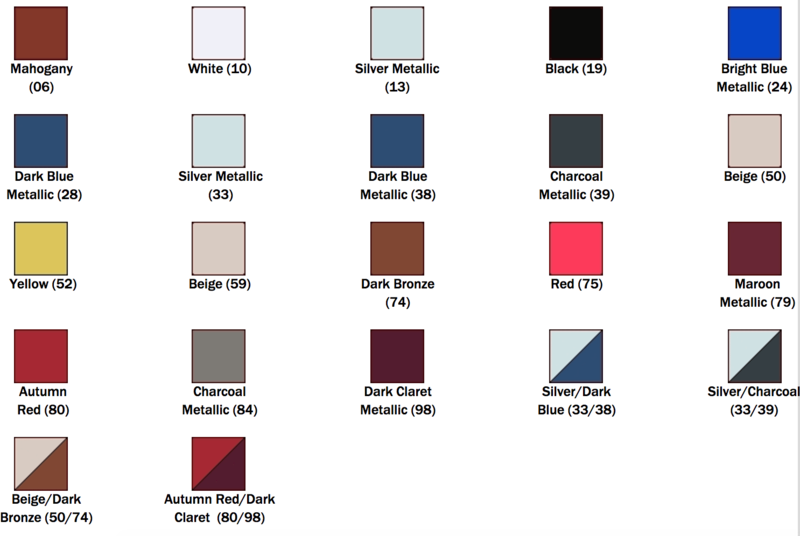 Four two-tone combinations were offered – Beige/Dark Red, Silver/Dark Blue, Silver/Charcoal, and Autumn Red/Dark Claret – with sales of those combinations totaling 5,352. 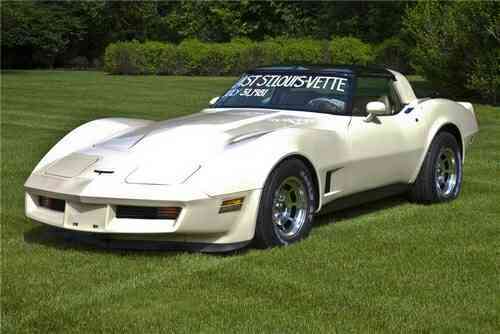 The price of the 1981 Corvette had again increased from the previous model year to a base price of $16,258.52. Despite a generally dismal sales year for the entire automotive industry, Corvette continued to do well with 40,606 units sold that year. 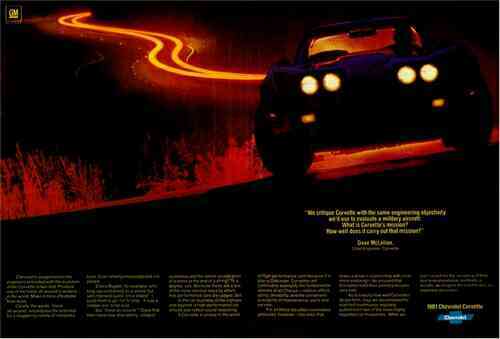 A 1981 Corvette Advertisement featuring the following quote by David McLellan: “We critique Corvette with the same engineering objectivity we’d use to evaluate a military aircraft: What is Corvette’s mission? How well does it carry out its mission?” (Image courtesy of GM Media). Kentucky Governor John Brown drove the first of the Bowling Green Corvettes off the assembly line in 1981. Within a few months of the plant’s start up, it was producing Corvettes at a rate of 15 units per hour. By comparison, the best the St. Louis Plant had ever managed had been 10 units per hour. However, the choice to move to Bowling Green had been an intentional investment by GM to improve not only production quantity, but production quality as well. 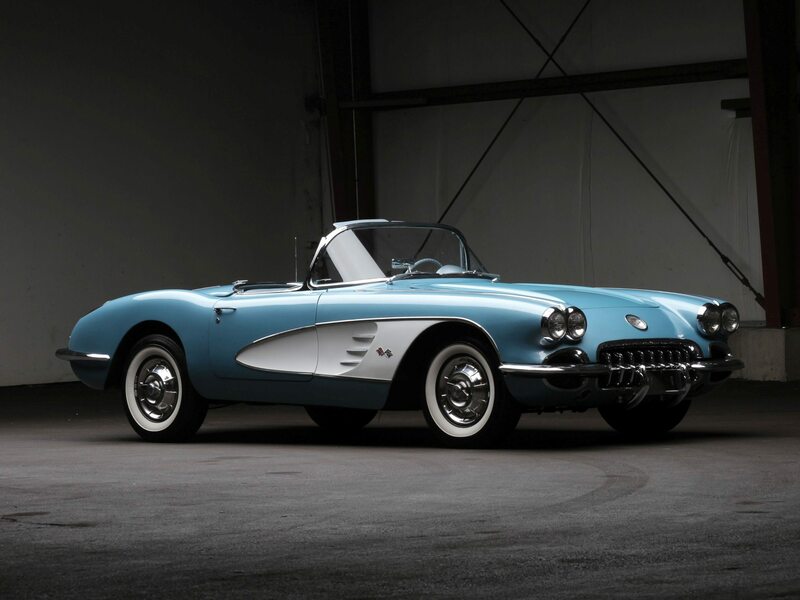 While the C3 Corvette had experienced a number of model years that lacked genuine production value, GM’s renewed focus on building a quality sports car was unquestionable. CONSTRUCTION: Frame features a cross-member for transmission (with bolting assembly for transmission). The frame is all welded (full length), ladder constructed. The full frame includes four cross-members and is sealed with a corrosion resistant material. The body is constructed of a corrosion-resistant, steel-reinforced fiberglass. The front bumper features a honeycomb cushion system. The rear energy-absorbing bumper features twin hydraulic shock absorbers. The hood and doors are constructed of fiberglass and feature a double-panel construction method. The roof assembly features two removable roof panels. 1 (First Digit) Country. 1 – U.S. built / 2 – Canada built. 4 (Ninth Digit) Check Digit. This number will vary. 4XXXXX or 1XXXXX Twelfth thru Seventeenth Digits – Plant Sequence Numbers. The last six digits for the Corvette Coupe built in St. Louis begin at 400001 and run thru 431611. The last six digits for the Corvette Coupe built in Bowling Green begin at 100001 and run thru 108995. This accounts for all 40606 Corvette Coupes built in 1981. Each Vehicle Identification Number (VIN) is unique to an individual car. A – Designates the Month (See Charts Below). Chevrolet produced engines will be stamped with a source, production date, and engine suffix. 0615 – Date Code. Month and Day. 0615 – June 15. ZDA – Type Designation. ZDA – 350ci 190hp, 4-speed manual transmission. 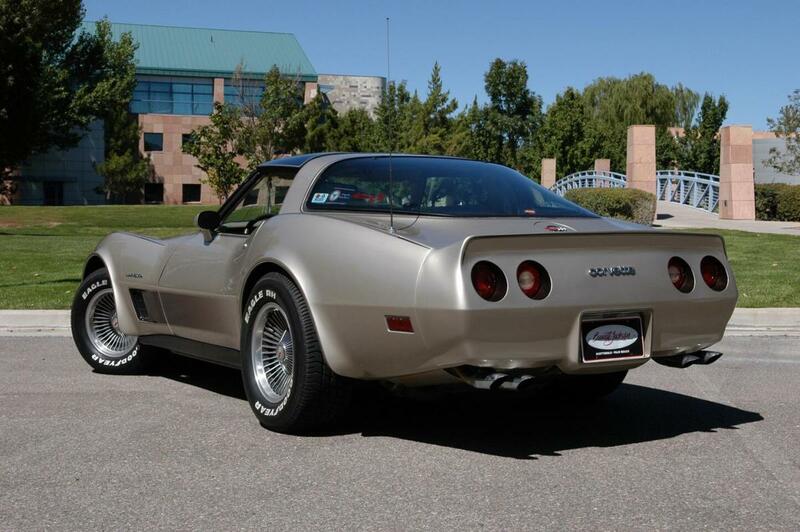 The base price of the 1981 Chevrolet Corvette Coupe without any optional equipment. A 350 cubic inch, 190 horsepower engine, 4-speed manual transmission or automatic transmission, leather/vinyl or cloth/vinyl interior trim, tinted glass, AM/FM Radio, power windows, air conditioning, tilt telescopic steering wheel, and T-tops were included in the base price. Electric, twin remote, sport mirrors. Included “Resume” control. Resume allowed the driver to return to a preset speed. Deletes standard radio and speakers. The standard/stock radio equipped with a 8-Track Tape Deck and CB Radio. The standard/stock radio equipped with a Cassette Tape Player and CB Radio. Not available with UL5, UM5 or UN5. A carrier mounted to the rear deck for external transport of the removable roof panels. 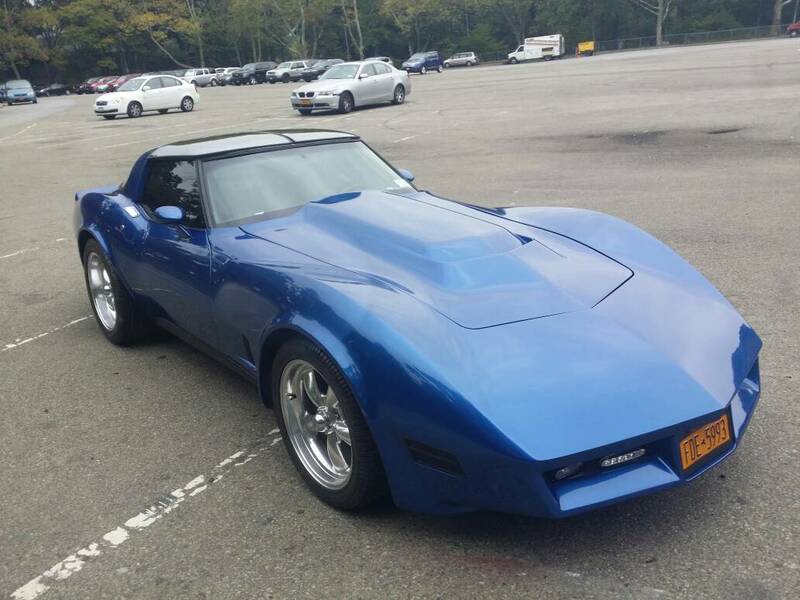 The 1981 Corvette was built in two seperate locations. Chevrolet transitioned production from St. Louis, MS to Bowling Green, KY. The last production day in St. Louis was August 1, 1981. The Bowling Green plant began production on June 1, 1981. 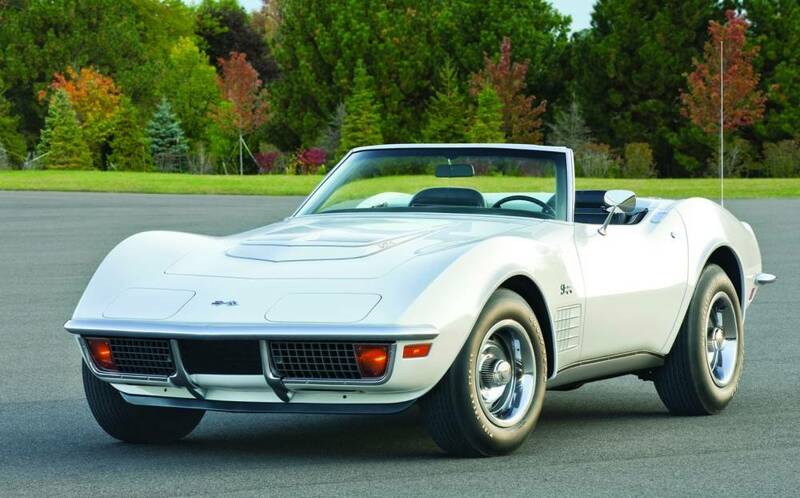 Only one engine was available for the Corvette in 1981 – the L81. The L81 was certified for sale in all 50 states. New fiberglass-reinforced Mono Leaf rear spring was standard with an automatic transmission. The design eliminates interleaf friction to help reduce ride harshness. The steel multi-leaf spring is retained with the manual transmission and optional Gymkhana suspension. The automatic transmission included a converter clutch feature in 2nd and 3rd gears. The Advanced Computer Command Control Center became standard in 1981. The system automatically adjusted ignition timing and air-fuel mixture. Lightweight magnesium valve rocker covers in black with bright ribbed surface was standard. New stainless steel, free-flow exhaust manifolds replaced the previous years cast iron manifolds offering a weight reduction of fourteen pounds. New auxiliary electric fan cuts in if supplemental cooling is needed. This allowed a smaller fan with fewer, lower pitched fan blades for reduced fan drag and a quieter operation. The standard anti-theft system was improved for 1981 by adding a starter-interrupt feature that disables the starter circuit if a forced entry is detected. Arming of the system is obtained by using the manual lock or power door control on the driver’s door. Simply unlocking the driver’s door with the key will disarm the system. The headlight and windshield wiper switch bezel was painted the interior color as apposed to the standard black on the previous model year. A quartz crystal-movement clock was standard. it was a more accurate and durable timepiece than the conventional mechanical-movement clocks. 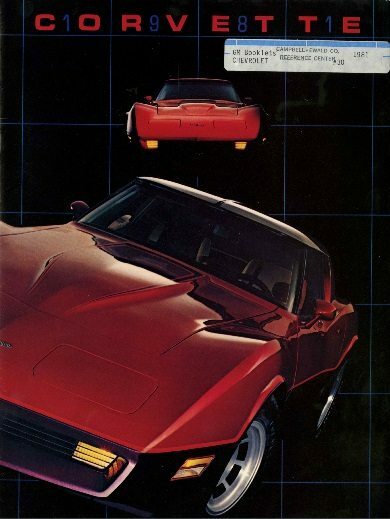 Download this 1981 Corvette Dealers Sales Brochure for a quick look at the features of the car.